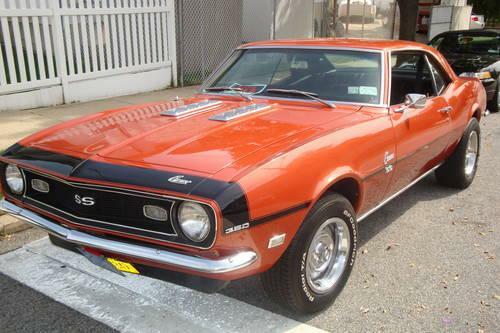 Here is a very unique Camaro SS. It is optioned with a factory 12 bolt rear end, power brakes, power steering, bench seat and column shifter. Finished in Corvette Bronze with a black interior this Camaro looks as nice as it drives. Additional details and photos can be found at www.islandcc.net.